Was the Pressure Too Much for Rousey at UFC 193? Ronda Rousey's meteoric rise to stardom may have came back to haunt her in the biggest UFC event in history. As her head clattered off the canvas in front of a record-breaking attendance of 56,214 fans at the Etihad Stadium, the world collectively gasped in shock, while the stock of "Rowdy" took a major hit. That collective gasp included a plethora of high-profile celebrities who had helped elevate not only the fighter's brand, but transcend the sport as a whole. Whether UFC's rise will begin to stagnate following the stunning result remains to be seen, but it does put Ronda Rousey in the spotlight for questions she wished would never be asked. In the build-up to the fight, she had continued her breakthrough into a world of glitz and glamour far beyond sport. When she came back to preparing to face Holly Holm in Australia, heaps of new fans came back with her. That's what made her the UFC's biggest star. Not only did she catapult women's mixed martial arts, she emphatically dominated all who came in her path. That's what made her so appealing, each fight had so much spotlight because people wanted to see how she'd win, how quickly, in what method, or for the ever so slight chance of a loss. But few would have expected the loss that she suffered in the UFC's first trip to Melbourne, Australia. Barring Holly Holm, her team and fanatics, this was set to be yet another night where Ronda would be plastered all over the headlines for doing something spectacular. She would be plastered over the headlines yet again, but this time for how convincingly she was beaten. It's a very probable prospect that "Rowdy" may have brought into her own hype. You can't blame any human for doing so, after all most people were expectant to see her tear through Holm, and she didn't. Celebrity reaction to the fight from Donald Trump calling her a bad person to Lady Gaga hinting some karma shows that the name remains big, the moment was astronomical. Her loss was devastating, but magnified even more by the attention on the fight. Throughout fight week, in the run up to the main event of UFC 193, Rousey and Holm were pretty cordial. Just over a day before they weighed in, they shook hands on media day. After they stepped on the scales, Rousey was straight in Holm's face accusing her of being fake. It came out of nowhere, kind of like the head-kick that ended the championship bout. Perhaps it was an indication of the mental strain on her throughout the event. Media obligations were at a high, maybe this was one step too far. Whether it was marketing or psychological will be something known only to the former champion. But it was definitely unusual, just like the attention on Rousey, just like her as an athlete. Female fighters doing what she does is a rarity. At a stage where you look to remain undefeated, each fight has so much more importance. A loss could derail everything. Rousey wasn't just going in there with an undefeated record, she had the world at her feet from movies to commercials, awards and everything in between. After the first round, almost everyone knew the problem that Rousey was fighting with, other than probably her corner who praised her after losing the first round. Fighting with emotion, she ran straight at the former boxer and was being cracked with shots throughout the duration of the fight. As was her weigh-in outburst, this was about emotion and not about fighting. 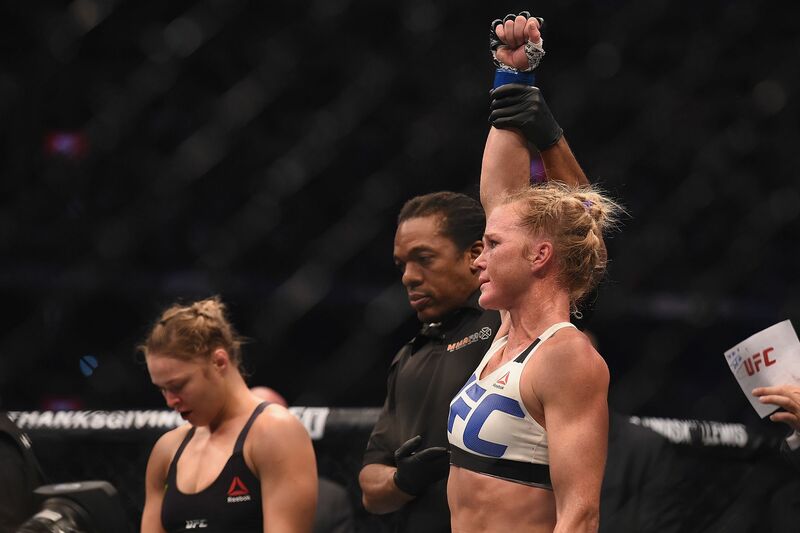 Holm kept this on a basis of the fight, Rousey took it beyond, and it would haunt her. The knockout was so spectacular and statement-making that it was tough to comprehend. The directions in the future for Rousey are blurred but almost certainly lead to a rematch. Since Rousey has now lost, there will be less pressure on her to win or at least dominate. Scores will watch but whichever direction Rousey heads to, fighting must come first. As she posted on Instagram, she'll be back. Most likely, she'll come back very much changed. A prognosis of the loss will come and maybe some of the roots will lead to her investment in things beyond MMA. 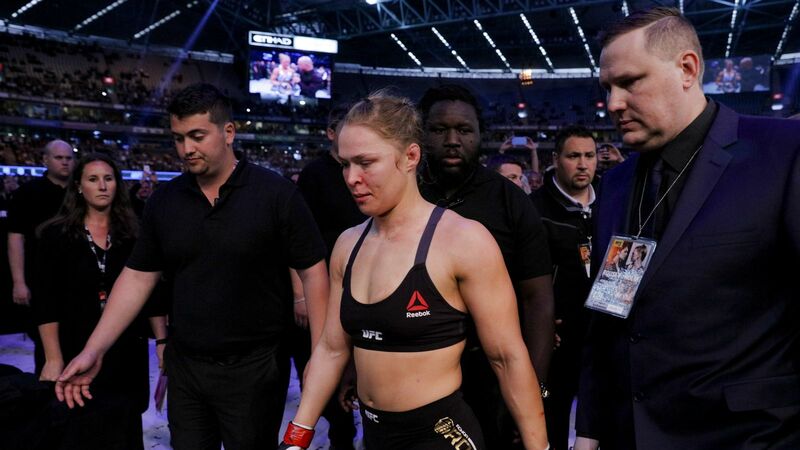 Ronda Rousey broke an attendance record at UFC 193. But a lot of things in her life were also shattered. On the night, it was too much. Rousey's resurgence will come, but how long that will last now depends on what she changes. Comment: Invincibility unattainable in MMA? 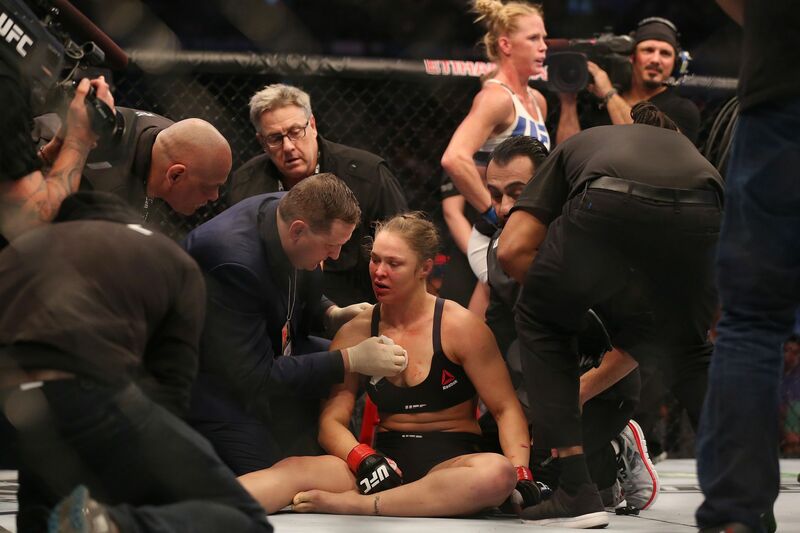 TheSportMatrix • We Live For Sport: Was the Pressure Too Much for Rousey at UFC 193?